Margaret McFarlane has been instructed in preparation of a number of Scotland’s large Fraud and Money laundering criminal prosecutions. She has a background of prosecution of fraud cases from her time as Head of Fraud Prosecutions in the Crown Office and Procurator Fiscal service (COPFS) Glasgow. She is an Ad Hoc AD both at first instance and in the sentence appeal court. She has a background of 5 years experience as a senior solicitor in criminal appeals for COPFS. She has experience of Fatal Accident Inquiries having conducted numerous Fatal Accident Inquiries for the COPFS. 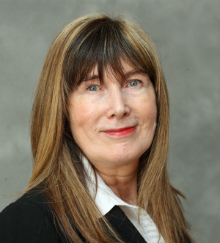 Margaret also has experience of conducting Extradition Hearings having represented the Lord Advocate at a number of extradition hearings.